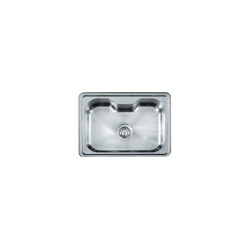 Sinks which we have in our kitchens are one of the important essentials of it. 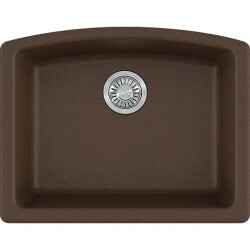 The variety of sinks available nowadays is mind-boggling - those with one simple bowl to those with 2-3 bowls, a half-bowl, strainers, guard kits, soap dispensers, etc. 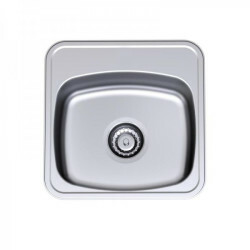 Here are the different things to keep in mind while choosing a kitchen sink. How to choose a sink based on size and kitchen area? Have in mind what you will be washing in the sink. If you're going to be washing large pressure cookers, baking sheets, etc. You will need at least one large bowl to be able to wash them, without water falling all over. It is useful to have a double bowl, with one bigger than the other. One sink can be used for piling and the other for washing. 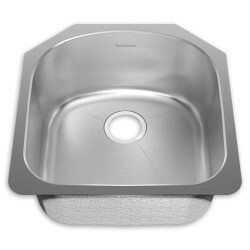 Of course, if your kitchen is of a smaller size, you might have to go in for a single-bowl sink. 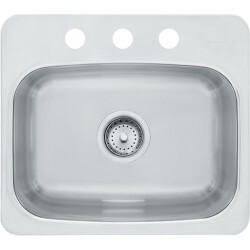 A single bowl sink is the one which occupies less space compared to a Double bowl sink. 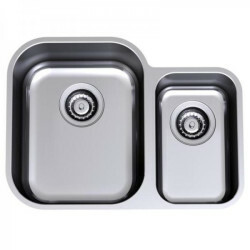 A double bowl sink can be fitted for kitchen with more space and a drain which is usually next to the sink that can be integrated to it if there’s much more space available in the kitchen. 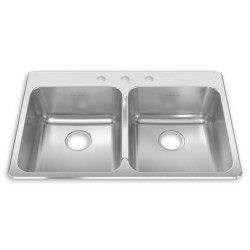 A double bowl sink gives more comfort for cleaning of vessels as it helps to wash and rinse separately. An added advantage of such kind is to have a dishwasher placed in one bowl and vegetables in the other. 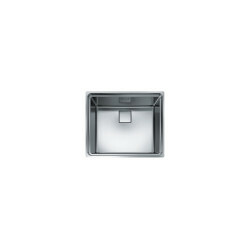 How ever single bowl sinks are definitely preferable for kitchens with smaller area. 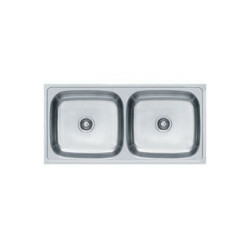 There are 1 ½ bowl and 3 bowl sinks apart from single and double bowl sinks, How ever such patterns are rarely found. 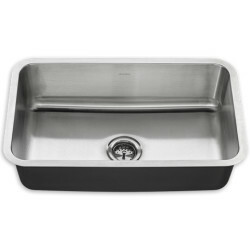 What are the materials used for a kitchen sink to be made? 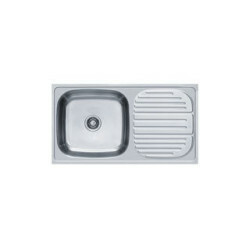 Sinks are available in a variety of material - stainless steel, ceramic and granite. Durable, practical, cheap, easy to install and low maintenance. They're resistant to many strong detergents, heat and chipping. They're sleek and they can look attractive with any kind of kitchen theme you're going in for. They're lightweight as compared to natural stone sinks. 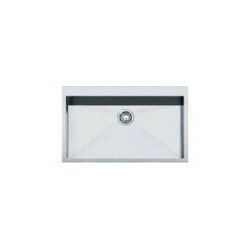 Stainless steel with a satin finish will also not rust or stain. 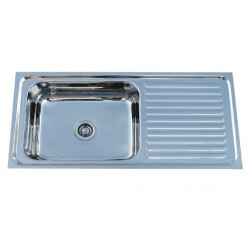 The few disadvantages of a stainless steel sink is that there may be some water spotting and also they are quite noisy. Ceramic sinks are resistant to heat and cleaning agents, however, they might chip if you drop a heavy pan or utensil on them. It can easily be cleaned because of its smooth texture. They're also a popular choice as they can be easily maintained. Granite sinks can blend seamlessly into your kitchen if you're using a granite countertop. They are heat resistant, scratch resistant and also don't chip very easily. 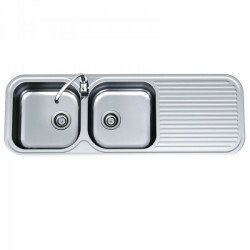 Elegant and hardy, they are a good alternative to stainless steel sinks. But of course they are also quite heavy and need strong bottom support. Sinks with an enamel or porcelain coating are also used known to be made of cast iron - they are made up of 80% or more of iron alloy. The enamel layer helps make it easy to clean and prevents water retention. 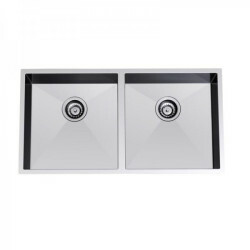 The biggest disadvantage of these sinks, as might be evident, is that they are extremely heavy and need very strong support of the sink cabinets. The sinks made of stainless steel material are less expensive and exhibit modern look compared to other materials such as ceramic, granite. SS even lasts for a longer period with no cracks or breaking unlike the other materials. The maintenance is also comparatively so less for SS. It even has high resistance to heat, rust and is stain free. When using a granite or ceramic sink, if a vessel or pan with larger size is dropped on to it then there's a crack forming which is not really good to have such an expensive product. Although Granite exhibits a decorative look, when there are stains forming on it, the appearance fades away. 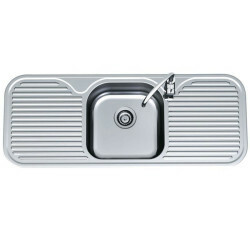 What are the mounting options in a kitchen sink? Sinks can be mounted in two ways. 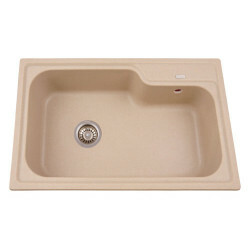 Under mounted sinks are placed under the countertop - these are commonly found in India. Counter tops that are strong can support the weight of an under mounted sink - such as solid surface or granite. Top mounted sinks are installed above the countertop. 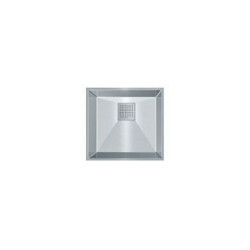 They are usually easier to install, but difficult to clean and maintain as particles can get swept under them easily. 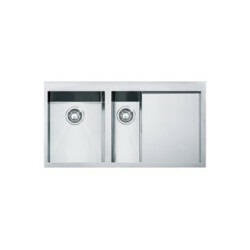 So it's recommended to have a kitchen sink that is undermount as it is easier to clean the counter areas easily. 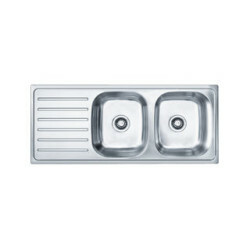 What is the ideal depth for a kitchen sink in India? 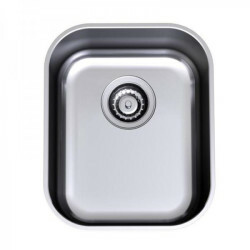 For wet kitchen areas where pots and pans are scrubbed clean a deeper sink is advisable. 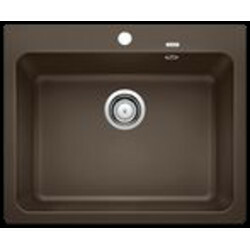 For sinks in dry kitchen and bar areas a shallower one, usually made or designed by European manufacturers seem fashionable. Taps nowadays come in a variety of styles, shapes and sizes, and it's hard to pick one. There are different kinds of taps available that are suited to your needs. Stainless steel and chrome are the two major kinds of materials used. Taps can even have in-built filters that make tap water fit for drinking. Mixer Taps provide one single stream of water the temperature of which can be adjusted by hot and cold water tap on either side. This kind of tap requires higher water pressure to work properly. It is ideal in homes where there is regular cooking and vegetables/daal have to be washed and soaked in hot water. It is of course, also useful in colder climates. 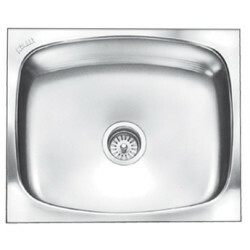 Single-lever Taps are also available where the tap can be rotated to obtain a stream of water at optimum temperature. Overall, keep in mind the size and look of your kitchen, but also go in for a sink that will last long and one which you won't go out of your way to maintain.